Last Thursday I made my way over to the mall to look for an outfit for my big night out dancing with my friends to celebrate a birthday, I didn't find an outfit but I did find these palettes! The salesgirl was just putting them out and I had seen some YouTube makeup gurus saying that Forever21 had some great makeup options at a very low price. 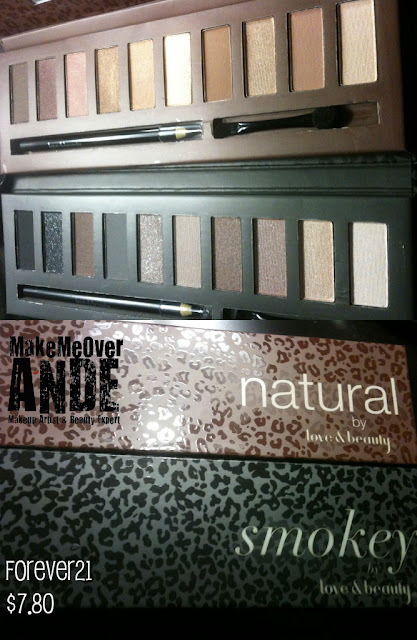 First, I picked up the natural palette and my first reaction was wow it looks like the UD naked palette. The packaging is about the same, with magnet to k﻿eep it closed. It contains a black kohl pencil, which to my surprise is very smooth and lasted a few hours on the waterline. 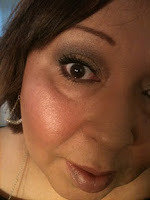 The shadows are very pigmented and smooth. The palette contains some matte, some shimmer, some sheen shadows, I've been using these palette since Thursday and I am truly very impressed. This look will be up on my YouTube channel as a makeup tutorial shortly. I used the smokey palette on Saturday and did a smokey look and I am in love with the dark grey matte shadow in this palette! The shadows lasted all Saturday night and for that me finding an outfit? Well you 'll have to just go over to my fashion blog to find out! Have you bought any makeup from Forever21?? Ohhhh I'm very intrigued by the Forever 21 palettes! They look lovely on you! And they do resemble the UD palettes a lot. Hey, if I can get the same quality for cheaper sounds good to me! I really want to get my hands on these palettes now! Do you have the UD Naked palette? How does it compare?